Failing to appear on a court date or to pay a ticket on time can cause a warrant for your arrest, Failure to Appear violation or suspension of your license. The experienced attorneys at Law Office of Kenneth P. Carp know that a Failure to Appear in Court (FACT) can be embarrassing and costly. Contact us in Bridgeton MO for a free consultation about the best ways to address and overcome FACT violations. Experienced attorneys who take every case seriously. Call us at 636-947-3600 for a free consultation. If you or a family member fail to appear for a traffic tickets or pay a fine on time the court can notify the Driver License Bureau, which can suspend that driver’s license. You may learn of that suspension when you’re stopped and issued a ticket for driving on a suspended license. You may also be arrested and required to post a bond. Our attorneys know the importance of violations for Failure to Appear (FACT). We know that the sooner we call the court the quicker we lessen the risk of your arrest or a driving while suspended offense which could carry a total of 12 points against your license. Failure to appear violations do happen and our attorneys, which include a part-time judge and two part-time prosecutors, know how to represent you. 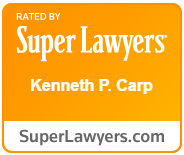 When Law Office of Kenneth P. Carp attorneys represent you we do a thorough job. We find out what court issued the FACT and find out what the original violation was and resolve that violation for you also. Whether it’s you or a teen driver in your household, we know that good people forget and we’re anxious to remove the threat and consequences of a Failure to Appear violation. Contact us and let us work for you. We have represented citizens in counties and municipalities throughout the state and are no stranger to defending Missouri driving records. Call today for a free consultation.